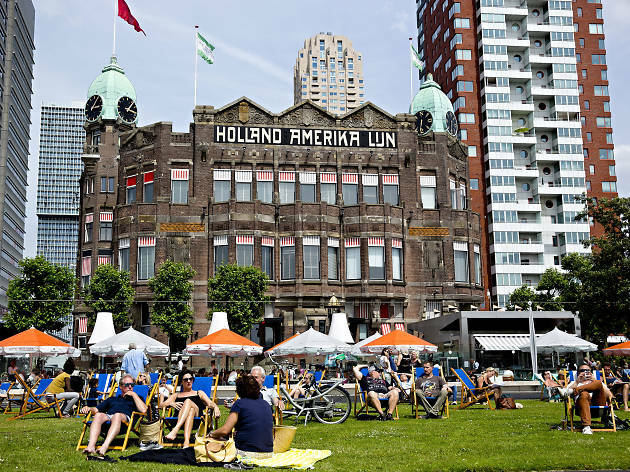 Rotterdam has a very different personality from Amsterdam and a mere glance at our list of best things to do in Rotterdam proves just that. 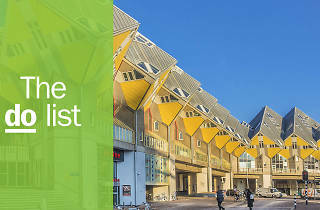 The second biggest city in the Netherlands was virtually razed to the ground during World War II and the subsequent rebuilding effort—which included constructions by some of the twentieth century’s most renowned architects—gives the city its modern, varied landscape and distinctive character. 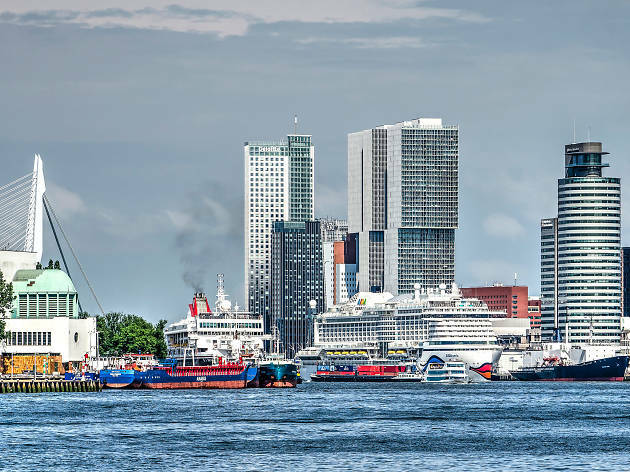 Straddling the River Maas, Rotterdam is split in two: the city centre and traditional hubs of power are located on the northern bank, while the south retains a grittier, industrial feel (even while gentrification continues apace). Boasting a youthful exuberance and "why not?" attitude, there’s a lot going on here culturally and economically, making this a very exciting place to visit. What is it? 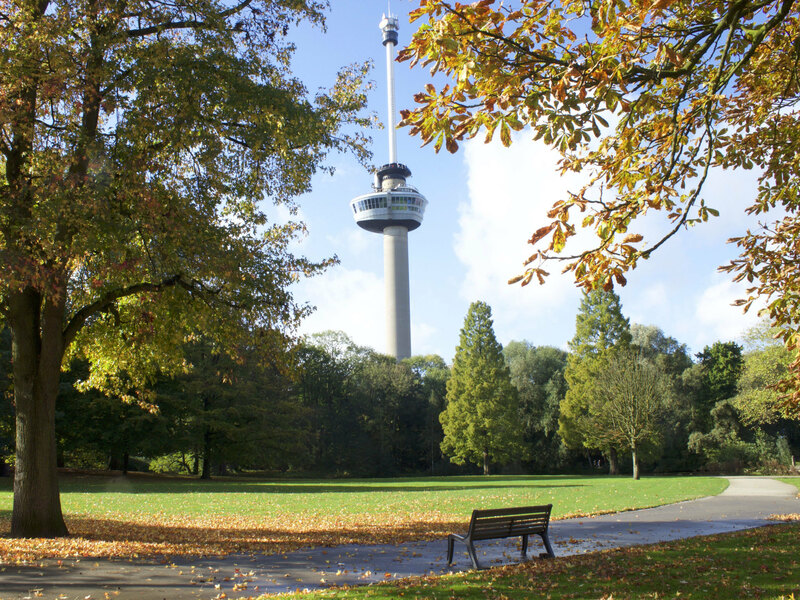 Built as an observation tower in 1960, Euromast is not simply a place to cast an eye across the cityscape; aside from the open-air viewing platform 112 metres up, there’s an excellent restaurant, an enclosed, rotating glass elevator (complete with voiceover tour) that takes you up to 185 metres, and even two hotel suites with private balconies. Why go? Few things are as thrilling as a birds-eye view of a city, and the sweeping panoramas from Euromast are no exception. And if that’s not enough, adrenaline junkies can even abseil down it. What is it? 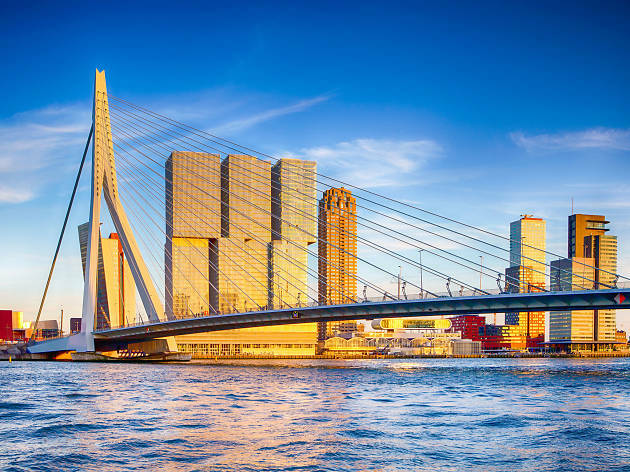 Known locally as ‘the swan’, the most distinctive of the three main bridges across of the Maas fits in perfectly with the city’s modern, daring architectural outlook. Why go? 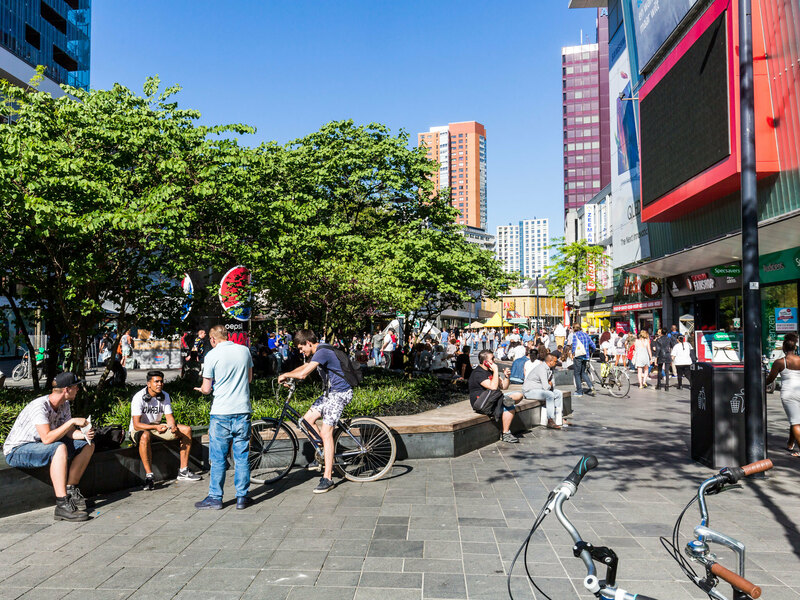 Connecting the central part of the north side to the south bank, a walk across it is the perfect starting point for an exploration of the south’s up and coming neighbourhoods. At night, it’s spectacularly lit up, and while you’re here, pop along to the lovingly preserved, art deco wonder that is Hotel New York; Rotterdam’s most famous hotel. What’s now a hip luxury hangout used to be the starting point for those sailing west to the New World in search of a better life. What is it? This leafy, tranquil space – bequeathed to the city by the Hoboken family in 1927 – lies at the heart of the Museum Quarter, a studied, elegant enclave devoted to culture. Why go? All the heavyweight galleries and museums are within a five-minute walk; the architecture and design temple of Het Nieuwe Instituut, the 1930’s art museum Boijmans Van Beuningen, the Natural History Museum, and Kunsthal, A Rem Koolhaas-designed space that hosts contemporary exhibits of modern art, photography, fashion, and design. If the weather is nice, grab some food to go for a picnic at nearby Roffa Streetfoodbar; if not, there are many classy, old-world Dutch restaurants a stone’s throw away. What is it? The hub of all things cool in the city. Set aside an hour or two to explore the length of this buzzy, happening street next to the Museum Quarter. Why go? Home to the Centre for Contemporary Art, an innovative public cultural centre, there’s something going on no matter what time of day or night you visit; quirky bars eccentric locals, cool kids, music venues, independent boutiques, vintage stores, and excellent Chinese, Vietnamese, and Surinamese food all happily mingle and co-exist. Do try to catch a show at WORM, known for their eclectic, progressive programming, and have a beer at Schouw, a hangout for artists, poets, journalists and drunks that’s the cutest little bar you’re ever likely to see. What is it? The Luchtsingel – literally ‘air canal’ – is billed as ‘the world’s first crowdfunded public infrastructure project’. 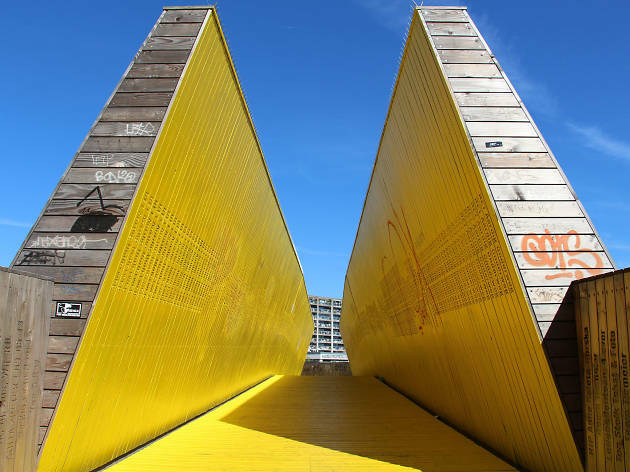 More than 8,000 people pledged €25 each to make this 400-metre-long pedestrian bridge a reality. Why go? Connecting three previously disconnected areas close to the central station, it’s led to regeneration and the transformation of unused urban spaces. There’s Schieblock, an incubator for young entrepreneurs with a rooftop urban farm; Annabel, a cool hangout where Operator Radio broadcast from a shipping container; Roodkapje, ‘a communal living room, project space, and underground laboratory for art, music, and food’; Hofbogen park; and numerous other coffee spots, bars, food venues, and green spaces. What is it? 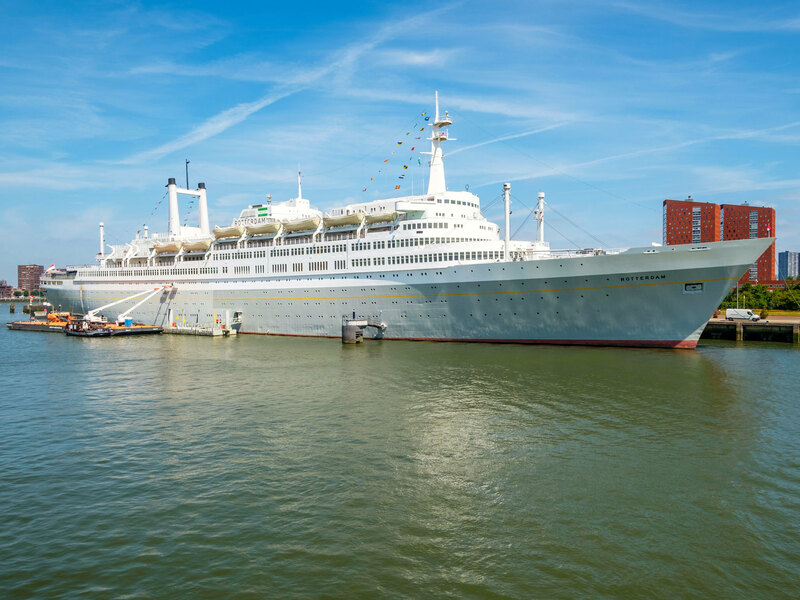 Now permanently moored on the south shore of Katendrecht, this former ocean liner and cruise ship – known as ‘The Grande Dame’ – was the jewel in the crown of the once sizable transatlantic Dutch fleet. Since 2010, she’s been a hotel ship, but she also houses various bars, restaurants, a nightclub, a museum, and can be booked for conferences, meetings, and even weddings. Why go? Guided tours are available, and if you’re lucky – and the weather is nice – one of the on-deck swimming pools might be open. For a truly authentic sea experience, arrive by water taxi – the ship has a small, purpose-built dock for this very purpose. What is it? As the city’s former Chinatown and the place where sailors would step back on dry land after months at sea, this peninsula was home to pawn shops, seedy dive bars, tattoo parlours, and whorehouses. Most of that is gone now, and Katendecht is now hip and happening, with a plethora of young, arty types starting up new venues and businesses. Why go? To hang out. There’s the Dutch Pinball Museum, the Fenix Food Factory – an indoor market for fresh produce and food stalls – and Kaapse Brouwers for some local craft ales. More upmarket fare is available in the cosy restaurants around Deliplein Square, or grab a table on a waterfront terrace for a very memorable sunset. What is it? The Dutch have a rich, maritime history, and nowhere is this more evident than in Rotterdam, the largest port in Europe. The historic Maritime Quarter is the only part of the city to be spared the WWII bombs. These docks and shipyards are still bustling today. Why go? 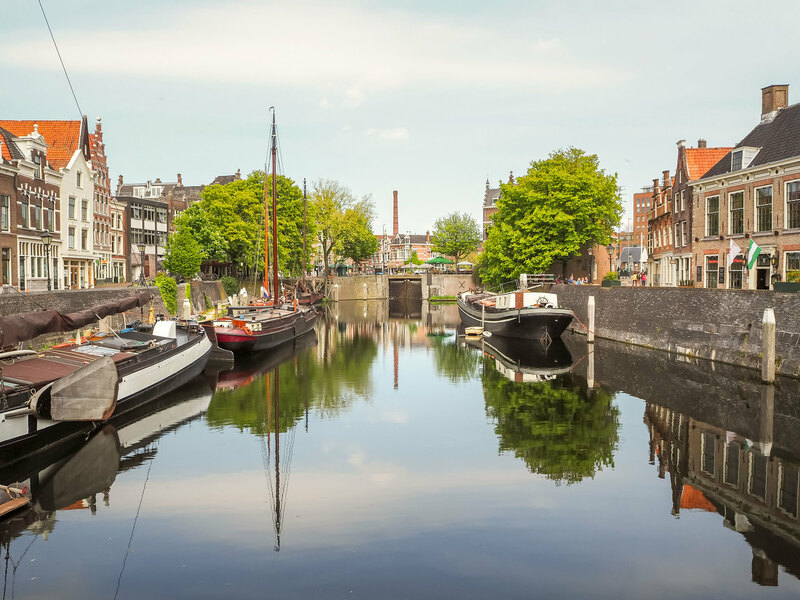 It might not boast the majesty of Amsterdam’s historic canal ring, but a tour around the harbour and waterways here is just as impressive and fascinating. Tours provide a close-up view of the riverside’s most iconic buildings, and sail past De Nolet, the world’s tallest windmill (a wind turbine in disguise). Booking in advance is recommended. What is it? A far cry from sad, neglected rinks illuminated by sickly strip lighting, this place boasts a state-of-the-art, 400-metre oval tunnel that lights up with LEDs and disco lights. Why go? 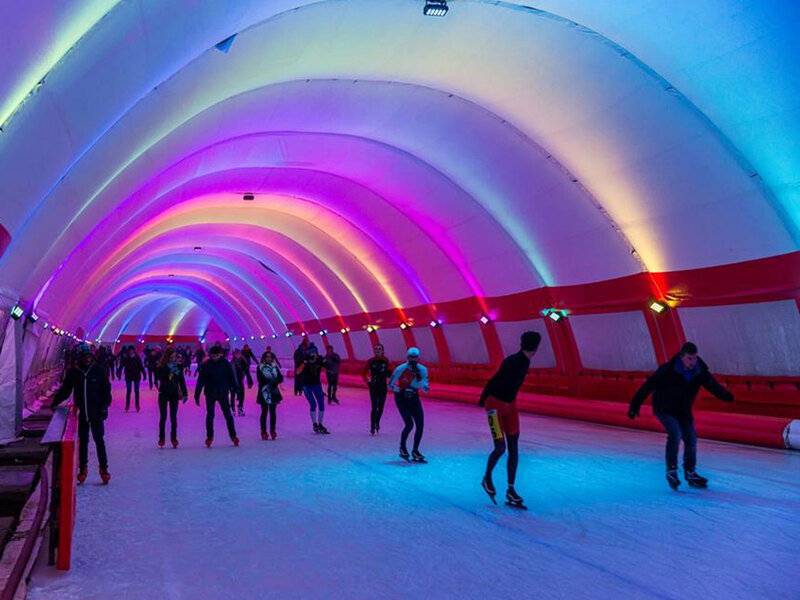 If you’re visiting in the colder months, this is the spot to have a go at ice-skating, one of the few winter sports the Dutch take seriously. Kids can be entertained on their own patch of ice, and you can also try your hand at curling. In the depths of winter, there are outdoor food stalls selling hot snacks and beverages alongside various other sporting installations which come into their own in the warmer months. What is it? The Arboretum Trompenburg botanical garden is home to over 4,000 plants and trees, and a quaint little teahouse with a beautiful terrace in which to enjoy their homemade cakes. The surrounding area – around the Erasmus University (the highest ranked research university in the Netherlands) – is perfect for nature lovers who quickly tire of the urban hustle. Why go? 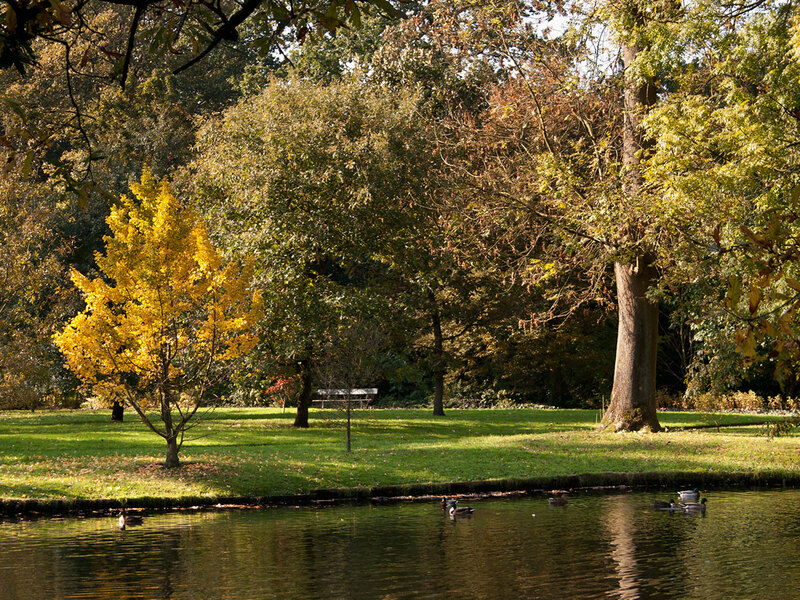 The botanical garden is a quiet den of peace and tranquillity, but those feeling a little more active should head instead to Kralingse Bos, where locals go for long bike rides, runs, open water swims, and active strolls. For a spot of head-clearing natural splendour, it’s pretty hard to beat. What is it? 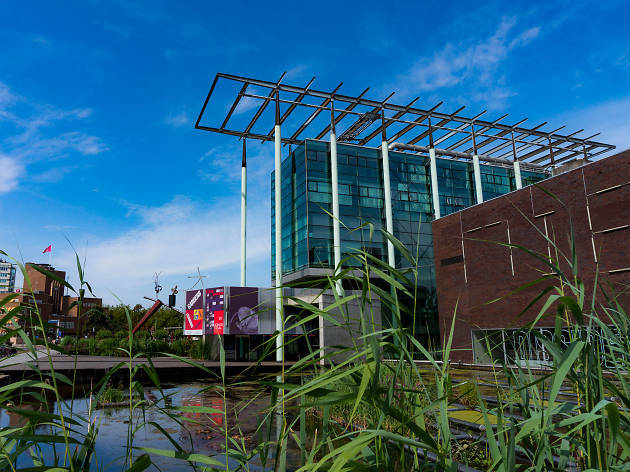 If you only have time for one museum on your visit, head to the national photography museum, located just south of Erasmusberg next to the Hotel New York. 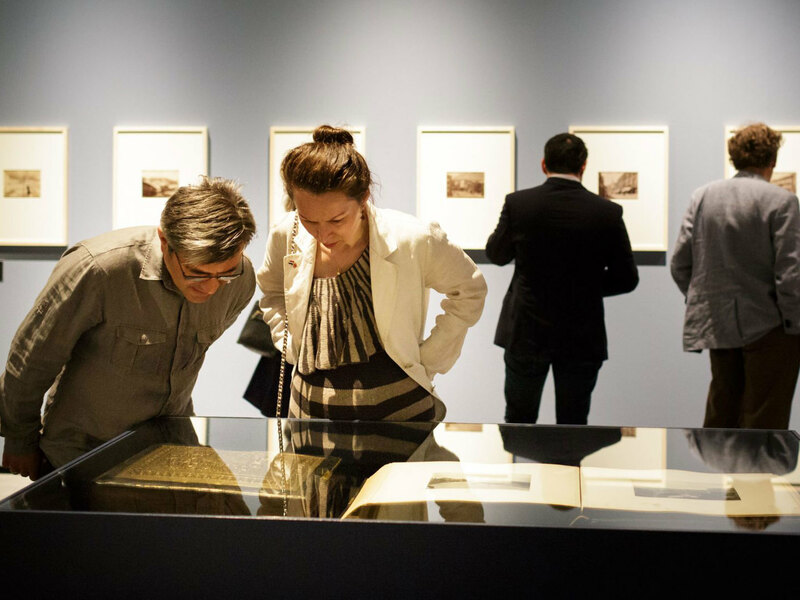 Its focus is historical, cultural, and social images from the twentieth and twenty-first century. Why go? It has more than three million pictures by Dutch photographers in their archives and collections. Exhibitions range from star names in the field to more obscure work from the in-house collections – part of its remit is to preserve the Netherlands’ visual heritage. And don’t miss the basement Dark Room, an interactive installation of photos and videos that overlays the history of both the country and the art form. What is it? You can get your food and architecture fix at Markthal, a stunning residential and office building that also houses a food market. Why go? 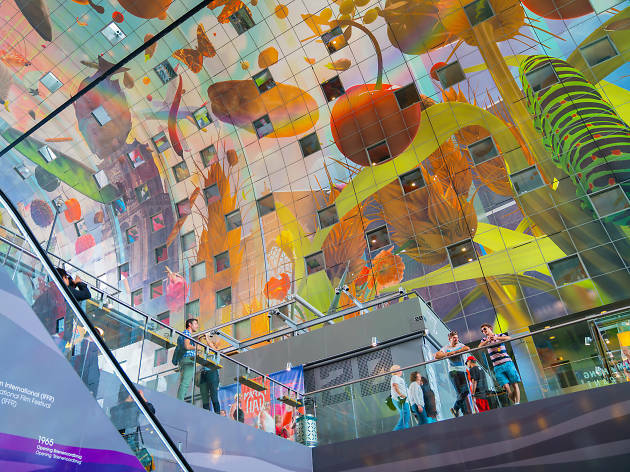 It’s something of an architectural wonder – it boasts the largest glass-window cable structure in Europe, and is decorated on the inside by the world’s largest rendered digital print (the food on offer more than matches the surroundings). 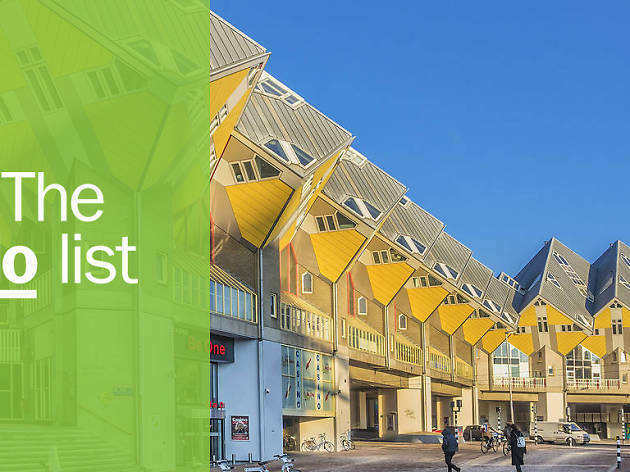 It’s also right next to the famous Cube Houses, the interconnected group of tilted residencies designed by Piet Blom – do take the time to visit the Kijkkubus (show home) and marvel at their strange interiors. What is it? Take a trip back in time with a wander around Delfshaven, a quaint, historic harbour that was once an independent city until subsumed by the growing metropolis of Rotterdam. Why go? To visit the Oude Kirk, where the Pilgrim Fathers held their last service before sailing to the Americas in 1620, and check out a working genever distillery, still brewing the traditional Dutch liquor. And besides a number of cute little cafes and restaurants, you can play street golf; Café De Ooievaar will rent you a special golf set and give you the itinerary of the 9-hole golf course that crosses old bridges, treacherous cobblestones, and weaves through narrow alleys.